“Shrek” is the perfect example of just how much things can change in a short amount of time. He went from being a lonely, mean ogre to being the hero that marries the princess- and had to embrace new attitudes and dynamics along the way. 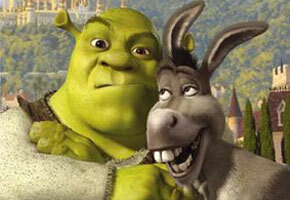 Being the leader, he prepared his trustworthy sidekick, Donkey, for what’s ahead -- “ Change is Good, Donkey” Shrek says.